A 'Norman Rockwell'like life awaits in this FULLY FINISHED and FABULOUS bilevel in desireable Lancaster Meadows. Covered veranda will welcome the kids home from the desireable schools, rec centers, and playgrounds in this subdivision that are close by. Step inside to a large entry with soaring vaulted ceiling, and extraordinary large windows allowing natural light to shine through the home. Elegant flooring and warm paint colours with decorative alcoves, ledges and tall windows ensure a comfortable elegance. Enormous master bedroom with double closets, additional 3 bedrooms are also larger than most, Expansive kitchen with granite countertops, walk in pantry, and stainless appliances and dining area with ample room for friends and family to gather round. 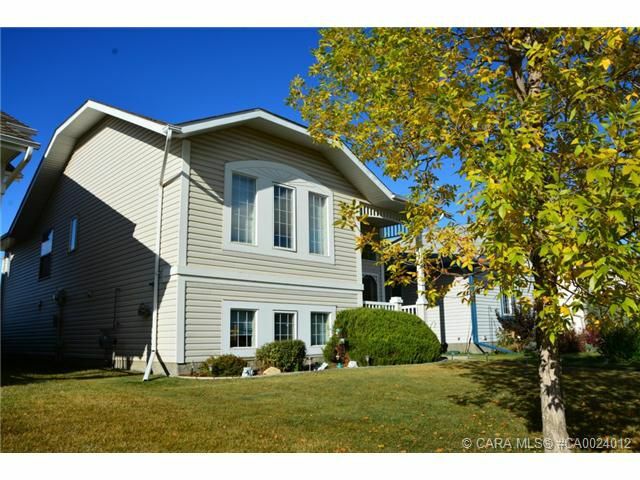 Easy access to rear fenced yard and large 24 x 24 garage. Large windows in the lower level make the family room bright and welcoming, seperate finished laundry room, seperate mechanical room, and extra storage under the stairwell.